Buy a generic replacement Aquapower/ Aqualine Cell online at Pool Supermarket and SAVE! 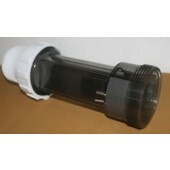 We stock a comprehesive range of Chlorinator Replacement Cells at the best price in Australia. Simply select your cell online and have it delivered to your door within days!